In-Vivo Networking (IVN) is the new technology that can wirelessly power and communicate with tiny devices implanted deep within the human body. Such devices could be used to deliver drugs, monitor conditions inside the body, or treat disease by stimulating the brain with electricity or light. The implants are powered by radio frequency waves, which are safe for humans. In tests in animals, we showed that the waves can power devices located 10 centimeters deep in tissue, from a distance of one meter. The key challenge in realizing this goal is that wireless signals attenuate significantly as they go through the human body. This makes the signal that reaches the implantable sensors too weak to power it up. To overcome this challenge, IVN introduces a new multi-antenna design that leverages a sophisticated signal-generation technique. The technique allows the signals to constructively combine at the sensors to excite them, power them up, and communicate with them. For more information, read our paper on IVN. IVN can wirelessly power up tiny devices inside the body. 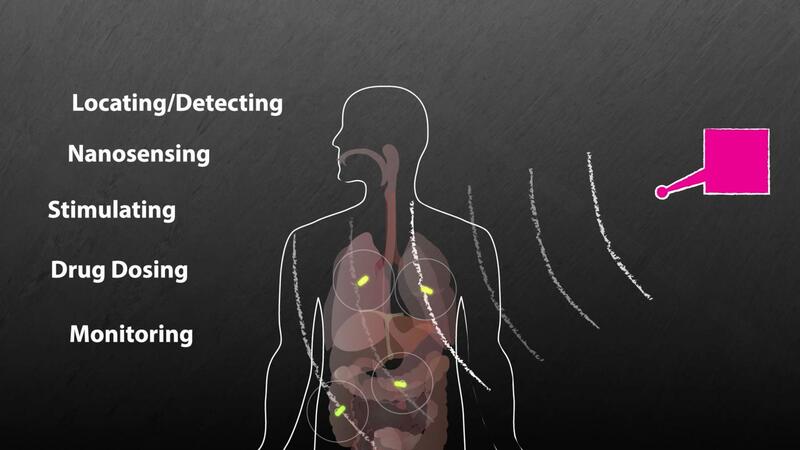 IVN can power and communicate with multiple implantable sensors. Its many applications could revolutionize medical-device design. 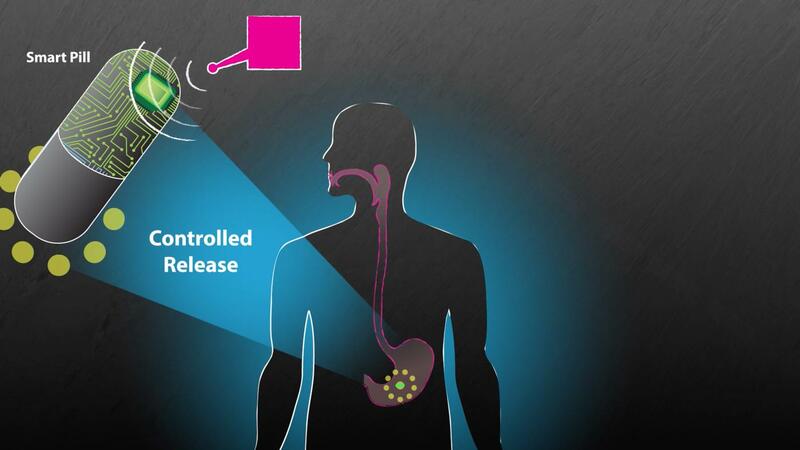 IVN could wirelessly control drug delivery to treat diseases like Alzheimer's or malaria. 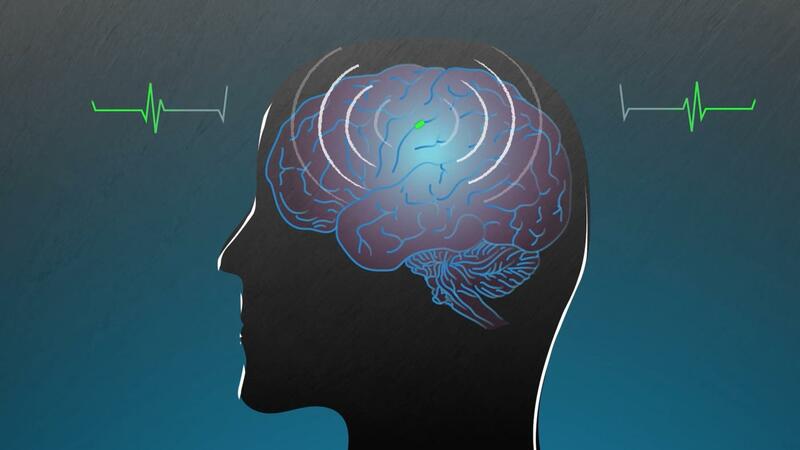 IVN could enable wireless deep-brain stimulation to treat diseases such as Parkinson's and epilepsy. What are some of the unique aspects of this work? What kinds of medical applications can IVN enable? Has IVN been tested? And how? How small can these devices be? Is IVN safe for humans? What were some of the biggest technical challenges in the development? When could these devices be on the market? IVN (In-Vivo Networking) is a new system that can wirelessly power up and communicate with tiny devices implanted or injected in deep tissues. 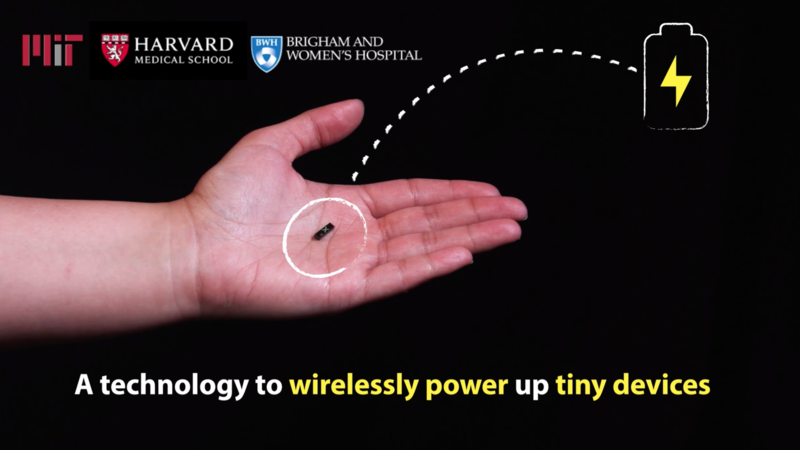 It presents the first technology that can wirelessly power and communicate from a distance with tiny, battery-free devices implanted inside the human body . 3) Treating diseases like Parkinson's or epilepsy when integrated with deep brain stimulators. The technology has been tested inside living mammals, particularly in a living swine. It has been tested under the swine's skin as well as 10 centimeters deep inside the pig's stomach. We have tested devices the size of a grain of rice. Yes. Because the devices do not have batteries, they are biocompatible and safe for humans. In addition, the wireless signals transmitted by IVN are safe for human exposure. The biggest challenge in designing IVN is that wireless signals attenuate quickly as they pass through the human body. So, these signals are very weak to power up the tiny implantable sensors. The technology is still in its early stages. We expect it to be available within a five- to 10-year time frame.